Since Peyton Manning isn't playing in Super Bowl XLVI (46 for non-Romans) he certainly won't be throwing any touchdowns passes, holding the Vince Lombardi trophy or telling the masses in a million-dollar shot, I'm going to Disneyland. No, Manning won't be doing any of these things in 2012 because he isn't playing in the actual game. Why do I feel the need to inform the media of this fact? And no disrespect to Peyton Manning; the only 4-time league MVP and future Hall-Of-Famer hasn't brought any of this attention on himself in a Favre-esque manner. Maybe because the major headline on ESPN today, two days before the biggest game of the season, is that Peyton Manning Has Been Medically Cleared To Play. Really, where's he going to play, during the halftime Lingerie Bowl? 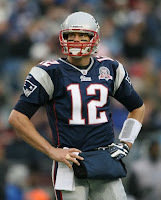 -Tom Brady being one of just two quarterbacks ever to reach 5 Super Bowls and having the chance to tie Joe Montana for winning 4 of them. Tom Brady is in the discussion for best QB of all time among a handful of other legends including two who played for the Colts. 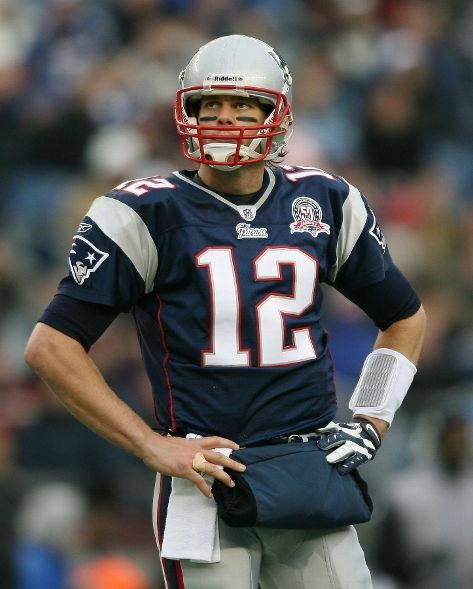 By the way, Tom Brady's biggest nemesis: Peyton Manning. -Eli Manning setting all kinds of Giants team playoff records including a stellar 7-1 win/loss when it matters the most and having the opportunity to earn his 2nd Super Bowl MVP, something very few players have achieved. After losing 4 straight regular season games, including to the 49ers and Packers (two teams the Giants had to overcome on the road in the playoffs), the Giants QB has led the team to 5 consecutive must-win games to reach the grand finale. 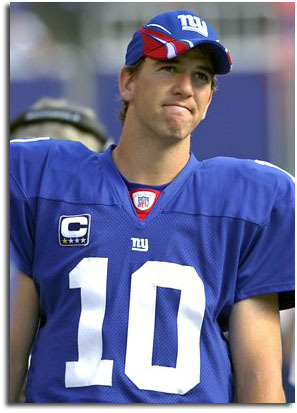 By the way, Eli Manning's biggest nemesis: big brother Peyton. -the Indianapolis Colts and their home turf at Lucas Oil Stadium are the first time hosts for Super Bowl 46 after finishing the regular season tied for their worst record in history with just 2 wins and 14 losses. The Colts booby prize for stinking up the field: the 2012 first round draft pick everyone's talking about as a once-in-a-generation quarterback, a guy like Peyton Manning who happens to be named Luck, Andrew Luck. The Colts are enduring a highly publicized decision over resigning their franchise quarterback who missed the entire season with neck surgeries and is due a $28 million signing bonus (if they decide to keep Peyton). But is there room for two franchise QBs in the state of Indiana? 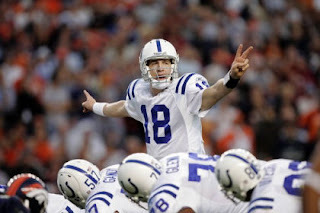 If they release Manning, what kind of message does that send to the fans of the player who put the Colts back on the map? Decisions, decisions, decisions. By the way, at this point the Colts' and Luck's biggest nemesis might unfortunately be Peyton Manning. 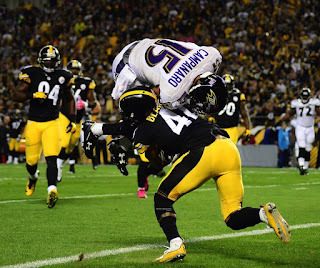 -Rob Gronkowski's ankle or Ahmad Bradshaw's broken foot, two impact players who could dramatically affect the outcome of this game. True, the media is covering the injuries but not to the degree you might expect. Remember how every moment leading up to Super Bowl 39 was filled with banter about Terrell Owens, who was listed day-to-day with a badly sprained ankle yet still caught 9 passes for a behemoth 122 yards and arguably should have been the MVP of the game even though the Eagles lost? Yeah, they're not giving it the same hype because it's all about Peyton. -Watching ESPN Sport Center last night, I saw a new record since training camp began where the media actually went 47 minutes without talking about Tim Tebow--until Skip Bayless screwed it all up. Man, does that guy talk about anyone else? 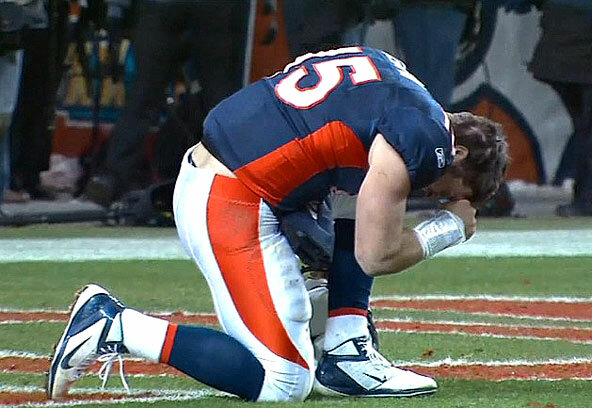 Sorry Skip, this year's Super Bowl is all about Peyton Manning, Tim Tebow's current nemesis. -Gisele Bundchen, aka Tom Brady's wife, hasn't been getting near the press I was hoping she would. Oh well, at least I can plug her here. Let's just not start any gossip about Gisele and you-know-who. Did you know there's an over-under bet on how many times the Super Bowl producers will call for a shot of Peyton Manning to be aired? I think it's around 5 times, and I recommend all gamblers to bet the farm on the over. We should see Peyton's mug a minimum of 8 times in this Super Bowl. Not too shabby for a guy who isn't playing, but how many emotions do you expect to see written in the lines of his face? That's my over-under bet. The real question the media is avoiding, the one that dives to root level for the entire twisted Super Bowl mess in a very weird way is this--deep deep down inside, who would Peyton Manning rather see win the game: Tom or Eli? There's an obvious and politically correct answer, which is to report you're cheering for baby-brother Eli against your arch-football-foe Tom, but is it really that cut and dry? Boys will be boys, and what made the Manning brothers so incredibly successful is likely an established family competition of always attempting to beat each other in anything and everything, from Monopoly to Super Bowl wins for the ultimate bragging rights. Sorry to break it to you, Peyton; even though any outcome of this game might feel like a loss at some psychological level, the irony is that you've already won both the game of it all and the MVP, Most Valuable Person during Super Bowl XLVI. I need to send Aaron and my brothers over to your blog. Sports talk = Blank face from Morg. :D Love it.